I have a lot of fun keeping track of these moments every month! Looking back on them and laughing all over again is my favorite.. Even the moments that don't make this post are pretty great. It reminds me that even when we're going through a rough point, our lives are fun and full of good moments! Obviously that wasn't the first time something like that has happened.... One time I tried to crawl over him to get out of bed headfirst because there were spiders on my side. When Mother Nature sent me a gift that I wasn't expecting, Joe told me that earlier that day when he was dropping Bensen off at his sister's house, he'd joked around about me having PMS. Turns out, he was right... I wasn't used to listening to my body after a year's break. Me: "So much makes sense now. My headache on Saturday, my irritability with people on Sunday, my over the top emotional state yesterday. Why didn't I see this coming?" Me: "I kind of wish you'd warned me, but it was probably smart of you not to say anything." Joe: "There's a bubble in my throat! Do you like it? Because I kind of like it!" Joe: "Do you know what I like wife? I can lock myself in the pantry and eat all the candy and you can't stop me!" 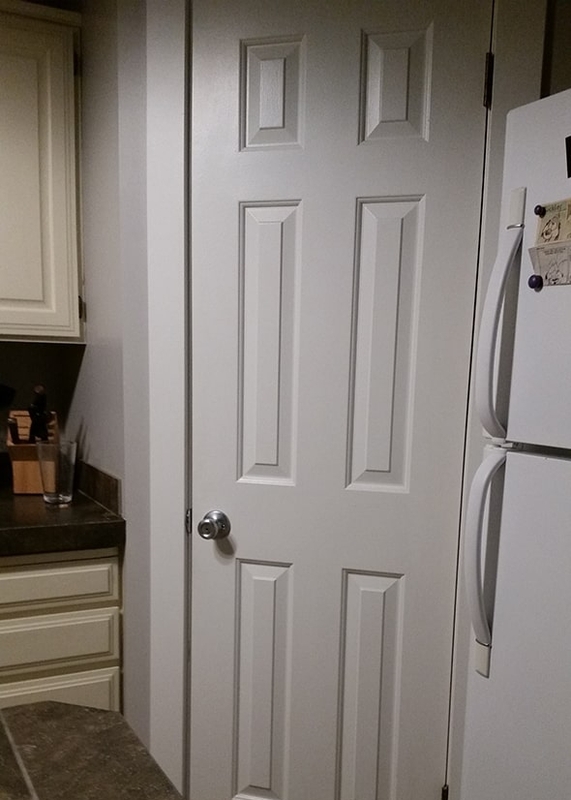 He proceeded to shut and lock the pantry door (I'd forgotten that the pantry had a lock on it) and then yelled to me, "We should get a light in here!" before he stayed in there in the dark for five minutes eating my chocolate!!! What fun things have gone on in your house this month? Do any of these conversations sound familiar to you?